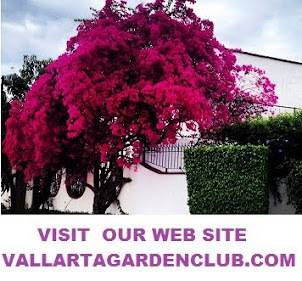 Traveling away from our beloved Puerto Vallarta, many of us enjoy visiting gardens in other cities. Vancouver, British Columbia has several world famous gardens, including the Dr. Sun Yat-Sen Classical Chinese Garden right in the heart of the city. Built in 1985-1986, the garden is the first of its kind outside of China. It is an authentic representation of an age-old garden tradition which reached its peak during the Ming Dynasty (1368-1644). The garden is characteristic of the private spaces within a Ming scholar’s residence. With its asymmetrical arrangement of rocks and plants, its corridors and winding paths, and the vistas that overlook its courtyards, the Garden emulates the rhythms of nature. Ming dynasty scholars, the elite of their time, lived and worked in their garden, sharing these enchanted spaces with family and friends of all ages. Like any home, a scholar’s garden was filled with energy, but also offered quiet moments for contemplation. The skyscrapers of Vancouver contrast with the peace of the garden. A classical Chinese garden reflects the Daoist philosophy of yin and yang. The hand-laid pebbles in the courtyard are both smooth and rough. Light is balanced by dark, rugged and hard are balanced by soft and flowing.